If you’re using OpenVpn as your VPN client, you may often stumble upon this problem. It allows you to connect to your private network, but you don’t have access to any internal resoruces. The most common cause for this issue is that you’re not getting an internal ip but a random C class one. 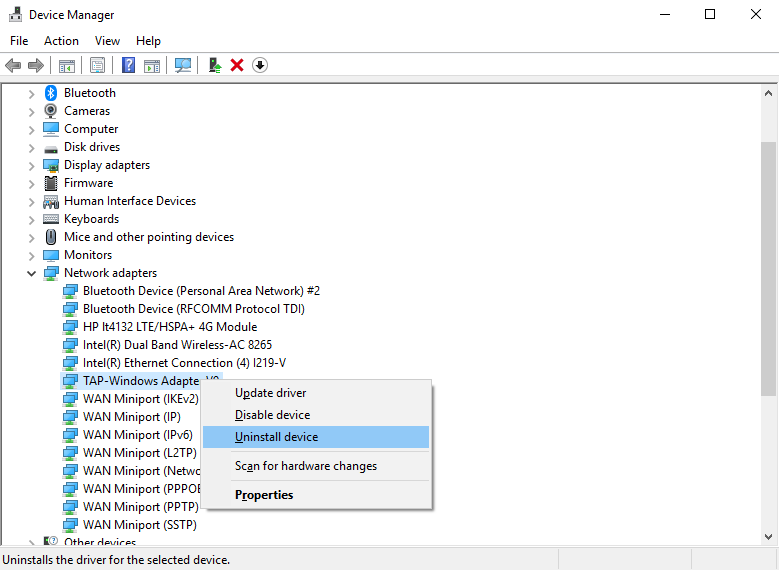 In order to do this, open Device Manager by clicking on Start button and typing Device Manager. After the operation is finished, Unistall your OpenVpn client also, restart the Pc and reinstall it.